The first location of McFadden's Saloon was opened in 1977 by Steve and Joe McFadden on Second Avenue in New York City. The raucous Irish bar concept eventually franchised, with more than a dozen outposts opening around the country, including in Boston, Chicago, Washington DC, Philadelphia, and Las Vegas. The 10,000 square-foot, bi-level San Diego location opened in fall 2011. Ownership hosted an open house today hoping to sell off fixtures and equipment. 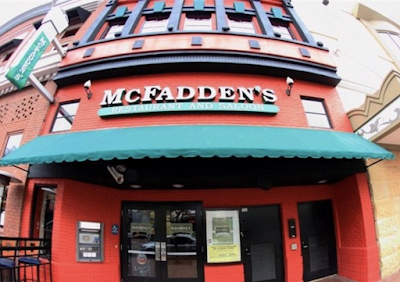 Rumor has it the franchisees behind McFadden's aim to tranfer their liquor license and open a new concept in another downtown San Diego space, probably in the unit currently occupied by Old City Hall. T.G.I. Fridays has been in operation at 743 Fifth Avenue since summer 2006. The once flourishing chain of casual American restaurants, TGI Fridays was first opened in New York City in 1965. After this weekend's closure of the downtown location, the last remaining San Diego branch sits on Jamacha Road in El Cajon. The sites of TGI Fridays and McFadden's will be used to construct AC Hotels by Marriott - "an upper-moderate tier lifestyle hotel brand for the design conscious traveler". 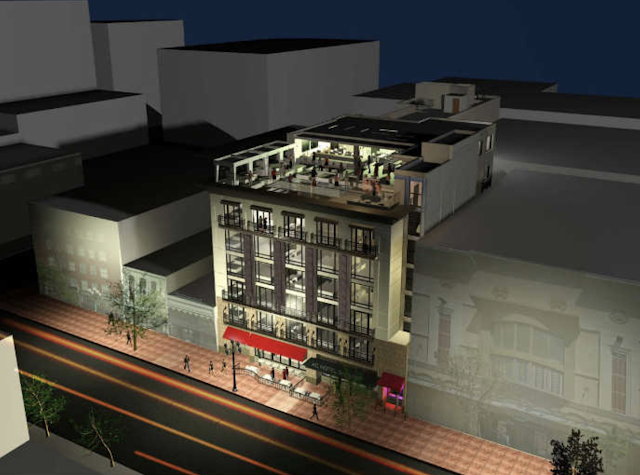 Planned for the east side of Fifth Avenue, between F and G Streets, the proposed project will partially preserve and restore the original look of the historic facade on 6th Avenue, where the main entrance will be. The project will substantially increase the height and density of the buildings and include onsite parking, as well as a rooftop patio and lounge.